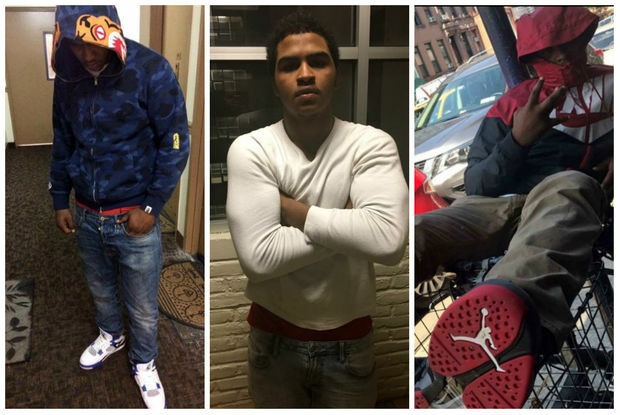 Lewis Encarnacion, a student at Heritage High who lived on 108th Street, was shot in the torso on Park Avenue and 110th Street, near the Lehman Village Houses about 10 p.m., according to the NYPD. “I was just on Snapchat and saw somebody posting. ‘Pray for Lewis,’” said friend and classmate A.J. Tiller. Tiller, 18, joined about 20 Heritage students outside of Encarnacion’s house to light candles in honor of their dead friend around noon. They spelled out Encarnacion’s nickname, "LA," and placed the candles next to the entrance of his apartment building. The students, a mix of seniors and juniors, spent the morning in the library talking with staff about Encarnacion’s death and how to cope with the sadness. The decided to use their lunch break to pay tribute to their friend. Although Encarnacion was a "goofy," friend who liked to cheer people up, he was big and didn't back down from conflicts when his friends needed him, Cintron added. Wednesday night, Cintron visited the place where Encarnacion died. He said there was still blood on the ground. No arrests have been made in connection to the shooting. The NYPD is investigating the incident as a homicide. Many of Encarnacion’s friends want to know who did it and why. Some did not rule out some type of retaliation. Alice Rivera, a 65-year-old woman who lives on the block and has seen Encarnacion and his friends grow up, says the teenagers need to be careful. Encarnacion’s family stayed inside their apartment during Thursday’s impromptu high school memorial. His mother is struggling to cope with the loss of her child, said Cynthia Pantojas a neighbor and Encarnacion’s former baby sitter.